Welcome to the UK’s leading ABBA Tribute Band. 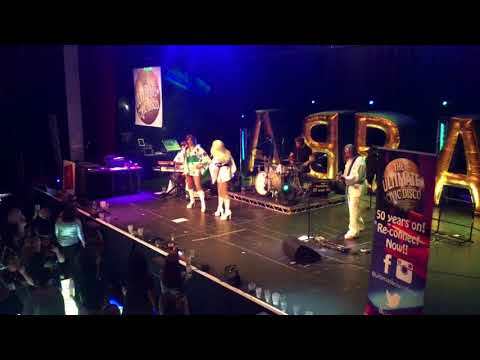 ABBA Re-Björn is made up of extremely talented and professional singers and musicians who together make the most authentic sounding tribute to one of the greatest and best loved bands of all time. With our Swedish accents, tight harmonies, high energy performance, replica costumes and audience participation aplenty you are guaranteed to be dancing the night away. ABBA Re-Björn have 4 full time professional singers and musicians, we don’t have A teams or B teams, we are not a brand, we are ABBA Re-Björn and what you see here is what you will get! The most authentic sounding ABBA tribute band in the UK. ABBA Re-Björn pride ourselves on authenticity and that is why we are at the top of our profession. Unlike many other tribute groups, we are a full time professional ABBA Tribute act and we tour all over the UK and Europe. Our feedback is current and not from years gone by! We constantly endeavour to update our videos and sound clips regularly so you can hear and see our constant high standards. We have performed in front of Royalty, High profile celebrities, at Festivals, Wedding’s, and many other events and occasions. No matter how large or small the audience or crowd EVERY show is to the same high standard. So if you’re looking for one of the most authentic ABBA Tribute Bands in the UK, don’t delay, BOOK TODAY. ABBA Re-Björn are fully self contained with state of the art sound and lighting equipment, which is PAT tested and for your peace of mind we are covered up to £10million Public Liability Insurance. Take a look at our feedback, listen to our sound clips, we know you will like what you read and hear. \"Don\'t miss out on this fabulous band, book them today.\"
Very professional in every way, their performance was excellent. Having booked Abba Re-Björn on many occasions I highly recommend them. “Sam and the team were FANTASTIC and we had an excellent night\"
\"Very professional, great vocals, great sound. 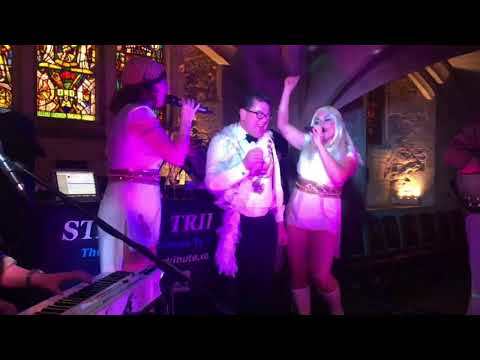 Everyone loved you\"
\"I have just re booked them yet again for one of our Tribute Nights.\"
\"They were absolutely amazing and had everyone dancing all night. “Sam and her 3 colleagues were absolutely superb in every way\"
ABBA Re Bjorn were amazeballs. They sounded so much like the real thing !